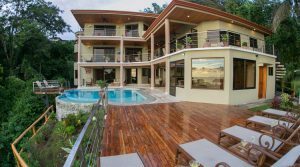 The following real estate listings in Costa Rica have been SOLD and are no longer on the market for purchase. 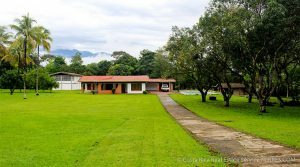 Classic tropical home on 1.5-acres with a great location between the towns of Uvita and Dominical. Easy access only 5 minutes up from the shores of Playa Hermosa. Whitewater ocean views highlighted by the Whale’s Tail at Marino Ballena National Park. Great value for a home by the beach with beautiful views for under $350k. 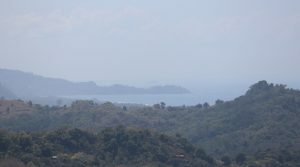 Ecolodge with incredible ocean and rainforest views in the Osa Peninsula. 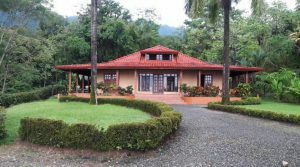 Prime location adjacent to Corcovado National Park. The area is listed on Costa Rica Tourism Board’s list of top 5 places to see in the country! Fronting the only road into Drake Bay and only 15 minutes from a regional airport. Single level home in Ojochal selling turnkey furnished and affordably priced. 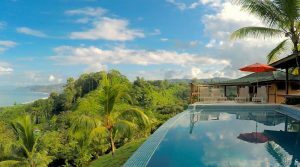 The 2-acre property features a private tree-lined driveway, landscaped gardens, a tropical pool area, ocean views, and a private setting surrounded by mature rainforest. 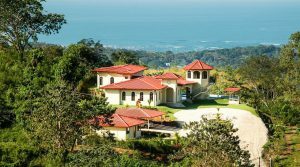 This home is perfect for any retiree looking to move to Costa Rica. 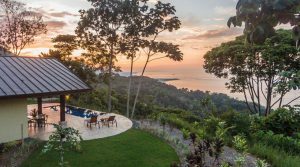 This luxurious 7,000 sq ft home features an impressive amount of construction on a private 2-acre property located close to the region’s most popular tourist attractions in Manuel Antonio. Excellent turnkey vacation rental opportunity with a gourmet kitchen, spacious bedrooms, stunning ocean views, and a resort style pool area. A beautiful and stylish 3 bed / 3 bath rainforest house in Matapalo on 1.12 acres. The residence is surrounded by trees and features stunning ocean views with year-round sunsets over the Pacific. 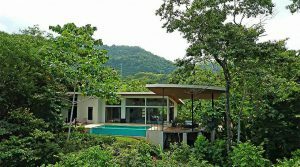 Selling turnkey furnished, the home has good vacation rental potential situated between the towns of Manuel Antonio and Dominical. Affordable home inside of a gated community 10 minutes from the beaches of Uvita. Unique split design with a main home and a separate “mother-in-law” guest suite with private balcony and kitchenette. Perfect for expats who need space for friends visiting from out of town. 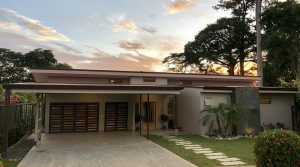 2 bedroom / 1.5 bath ocean view home with pool on a 2.5-acre property located in the upscale Costa Verde Estates community above Dominical Costa Rica. The views of the Whale’s Tail at Marino Ballena are jaw-dropping! Priced under $600k, this home is one of the most affordable – and last – ocean view buying options available in Costa Verde! 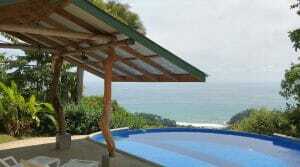 This 13-acre, ocean view property is conveniently located in between the coastal towns of Quepos and Dominical. The high-end Portalon community provides easy access, well-maintained roads, water, electricity, modern infrastructure. Perfect for those that want to build an ocean view estate with a nice amount of land for privacy. Luxury villa in Ojochal with a guest house on over 1/2 acre of land. The property has a private gated entry, beautiful landscaping, and a resort style pool with a tropical waterfall feature. Close to amenities and tourist attractions, this offering is selling turnkey furnished and has excellent potential to generate rental income. New modern home in Uvita with an efficient solar power system that is within a 5-minute walk to the tropical beaches of Costa Ballena. Situated in a community with stellar infrastructure including, underground public water, fiber optic, electric cables and fine gravel roads and concrete sidewalks. Great location! 9.72-acres, five miles from the center of San Isidro. The flat rolling topography makes the property easy to develop. San Isidro is the fastest growing city in Southern Costa Rica. This property is ideal for a safe residential neighborhood for the working professionals. Easy access on and off the Panamerican Highway. 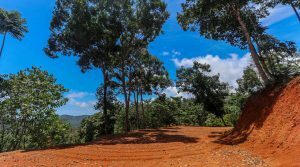 2.74 Acre lot that overlooks the Baru River. At the end of the development, this home site is ideal for anyone who would like to have a private and quiet home. 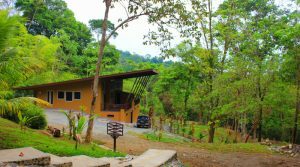 Just ten minutes from Dominical, make this lot easily accessible from the beach yet high enough to receive the mountains cool breeze. Just off of the main highway, yet far enough to maintain privacy.